Way back when I first started getting serious about high-end teas, I bought every tool, gizmo, and gadget in order to “properly” prepare the tea. My collection included several kinds of measuring spoons, a gram scale for metric weights, a small postal scale for avoirdupois weights, and an instant-read water thermometer. I’d obsess over exact measurements of water and tea leaf and precise water temperatures, and set both digital and analogue timers to ensure that the tea steeped for just the perfect amount of time. That, as they say, was then, and this is now. All of those tools are somewhere in my tea room, mostly gathering dust. Nowadays when I want a pot of tea, I “measure” the leaf in my hand. Water temperature? My clear electric kettle lets me see when it’s at a rolling boil (for most black teas), forming a string of pearl bubbles (for most oolongs and pouchongs), making crab-eye or fish-eye bubbles (for most green teas), and completely flat (for most white teas). These visual cues encompass various familiar ranges of temperatures. And I say “most” because sometimes the prescribed water temperature doesn’t seem quite right for a particular tea. So I might pour string-of-pearls temperature water into a pot of Nepal or Darjeeling black tea. Certain teas seem to ask for less, or more, heat. After a while you get to know which ones. Similarly, not all teas conform to the measuring spoon or weighing method, and these days I simply eyeball it. When it looks and feels more or less like a good amount it goes into the teapot. If it’s not right, I’ll add or subtract a little when making the next potful. Eventually you get the feel for each tea. And forget about timers; I rarely even look at the clock. Instead, I let the tea steep while getting various little jobs done. I’ll practice my 24-form tai chi while a pot of black tea infuses. Emptying the dryer, folding the laundry, and putting it away gives white teas enough time to do their thing. 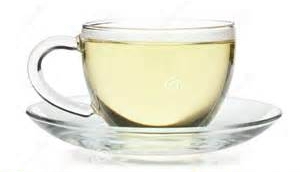 By the time I’ve peeled a hard-boiled egg and sliced a piece of cheese for our dog’s breakfast my green tea is ready. Are these activities exactly five minutes, twelve minutes, and two-and-a-half minutes long? Don’t know; I’ve never checked them against the clock. And the tea usually comes out right. The only times I hover over my teas are when they’re being prepared gong-fu style. Even then I can get the dishwasher mostly loaded or unloaded during the several consecutive steeps. Sure, it’s important to get that initial understanding of how tea works. I imagine, tho’, that after a while most serious tea drinkers dispense with the fuss and bother and just relax about their tea-making. Some may call it sacrilege; I see it as perceptive intuition. Give it a try – you might be surprised at how in tune you are with your tea. We’re pleased to announce that our posts are now included in the Tea Blog Posts at World of Tea! All content Copyright 2014/2015 JP Badarau; all rights reserved.